Hello everyone and happy Sunday, hope you had a nice weekend. I went to a food festival on Saturday and bought the most amazing 100% apple juice, goat cheese and 2 small size butternut squashes (which I will use for one of my recipes). First, boil the beetroots in boiling water (or you can use the boiled ones) and set aside to cool. In a large bowl add the flour, the eggs, the milk and the melted butter and mix really well until you have a creamy consistency. 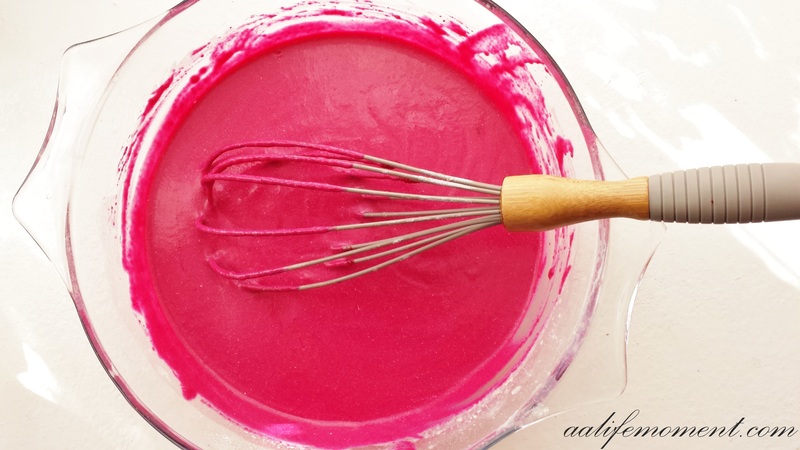 Meanwhile, blend very well the beetroot until it is creamy and add it to the mixture. After that, cover the bowl and let it rest on the fridge for about 20 minutes. Once you have put the oil on the pan, let it warm and then with a big kitchen spoon put the mixture on the frying pan and cook it until you seen tiny bubbles forming on the borders. Once you have cooked the omelette, choose which side is the prettiest and the “ugliest”, then place it with the pretty face facing down and the ugly face facing you and then spread the cheese, the crushed walnuts and 1-2 leaves of spinach. After that, roll everything gently and carefully and then let the rolled omelettes rest on the fridge for about 1 hour. After that, cut them with a knife very gently and decide the size you want them to be (mine were approximately 2 inches or 5cm). 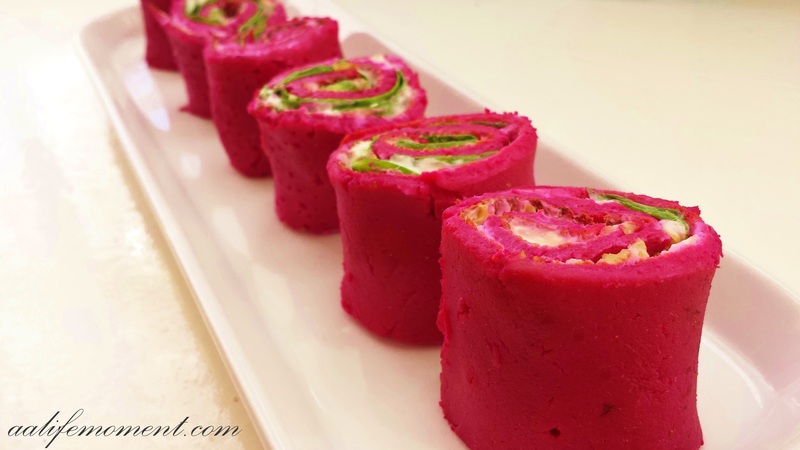 I really hope you will like this delicious and very colourful recipe. I find it perfect for a party or a special event, it looks very sophisticated but in fact it is very easy to make. You will definitely impress everyone. Thank you sooo much Miia for the very kind comment, I really do appreciate! Hope you get the chance to try it! It is always nice when food gets to maintain its color naturally! …and you too, have a great week! Gorgeous photos! 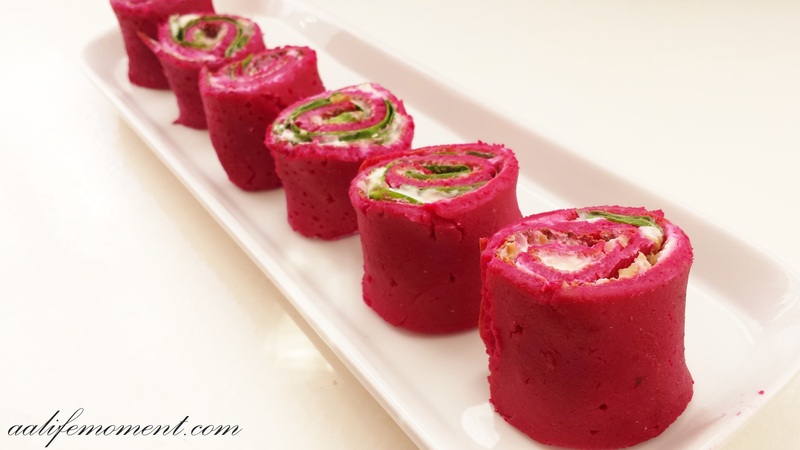 I love the color that beetroot adds to a dish- so vibrant! It nearly seems a starred restaurant’s dish. Beautiful display! Will set out to try it tomorrow! I’ve just bought beetroot and someone gave me some walnuts. And the hens have been laying very well. Thank you so much DailyMusings for the nice words, please do let know how it goes! 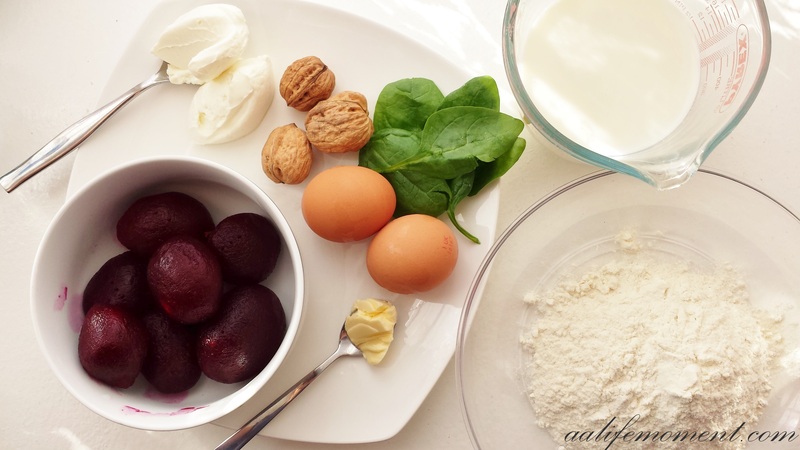 If you like beetroots then I am sure you will like this recipe! Thank you very much edenburnin for the nice words, please do give it a go! Beautiful combination of colors and flavors. WOW! I want those rolls! Look amazing and super delish!!! This is just AMAZING. Have some beetroots and was thinking of the way to use them up – will definitely go with this one! It looks beautiful and I’m sure it impressed your visitors. Wow! This looks amazing! Will definitely be doing this soon! Hi Alice, this looks amazing, what vibrant colors! I bet this would also be great with goat cheese. Thank you very much for the kind words, I am trying to eat beetroot as much as possible as it is a very healthy vegetable and produces a beautiful colour to the dish. Thank you for stopping by and hope you give it a go. such a vibrant and unique dish. I reckon Miss6, with her adoration of pink, would love this. Thank you very much for the nice words thehungrymum! These look really colourful and delicious, can’t wait to try! I’m glad I checked out your blog Alice, your recipes are so inspiring ! I especially love this one, can’t wait to buy beetroots to try it ! So pretty! And sounds like wonderful complimentary flavours. Thank you so much for the nice words. I like very much this recipe because it has natural colours and the ingredients really work with each other, please do give it a go! Thank you very much! Hope you enjoy the results as much as I do! That looks SO cool ! What a luminous idea to use beetroot this way! GENIOUS ! have to try !! This one I will definitely try! Thank you so much for stopping by, I hope you will like the results! Very good ideas and flavour combination.. The vibrant colour is wonderful. Aww thank you so much for stopping by and liking my recipes. I really like this recipe as it is delicious and beautiful.